The acronym stands for Sustainable and Stable Competitive Real Exchange Rate. It has been an important contention among heterodox, and not so heterodox groups alike, that a depreciated exchange rate leads to higher levels of economic growth. This has been also based to a great extent on the comparative experience of Latin America and Asia. So far so good. Depreciation, of course, protects local industry and leads to a boost to domestic production, and also, by leading to an increase in exports, reduces the external constraint of the economy. But it is important to note at least two things that heterodox economists used to know, but apparently have since forgotten (or at least some have). One is that depreciations are inflationary, in particular because they affect costs (not demand). Yes pass-through effects are smaller, but not negligible, and they tend to be larger when wage resistance is relatively strong. In that case, if you want a more depreciated exchange rate, you must be prepared to accept higher levels of inflation, and to deal with cost-push inflation. The other factor is that depreciation may very well be contractionary. One way in which this works out is that depreciation (everything else constant) reduces wages, increases the profits of exporters, and leads (yes, the economy is wage-led) to a reduction in spending and lower levels of activity (Diaz Alejandro dixit; classic paper by Krugman and Taylor here; subscription required). In this case, a depreciation does help reduce your external constraint, but by leading to a contraction. That, by the way, was one of the reasons why heterodox authors were against the traditional IMF package, devaluation (or wage reduction) and fiscal contraction; it was simply contractionary. I remain skeptical that a SSCRER alone produces that much growth (“permanent expansionary stimulus,” wow that’s nice!). It is a peculiar reading of the Asian experience. Industrial policy, the patterns of trade integration with the main markets (in the US), and the ability to expand domestic markets with the expansion of wages, seem to play no part on the process of development in Asia. Does this mean that China has a depreciated currency, and compensates by having monetary and fiscal restraint? Really? That’s news to me! Also it must be noted that the idea that monetary and fiscal policy must restrain excess demand implies that inflation is always a demand phenomenon, which is again peculiar among heterodox authors. The idea that devaluation is inflationary because it is expansionary (it used to be contractionary not so long ago), and so much that it leads to growth beyond capacity, and has nothing to do with costs is certainly odd. Don’t get me wrong, I do favor in general a more depreciated exchange rate, to reduce the external constraint, but because devaluation is inflationary (on the cost side) and there often is wage resistance, one must be moderate. Also, the way to deal with inflation would be with income policies (and I mean price controls, not reduction of wages!). And because devaluation is contractionary, through its effects on income distribution, fiscal and monetary should be expansionary (check the post here; to see what fiscal adjustment has done in Brazil). And one last thing, in Greece because they cannot devalue the ECB and the IMF have asked the equivalent thing (deflation and wage reduction) also with monetary and fiscal restraint. How is that working out for them? Most Sraffians understand that gravitation of market prices to normal prices is much quicker than the slower, but inevitable, adaptation of capacity to demand. But other eminent Sraffians have made some confusion by wrongly identifying classical prices of production with full cost pricing. Classical prices of production are the centre of gravitation for market prices and are determined by the costs of the dominant techniques (at the level of normal utilization of fixed capital) and the state of distribution. It is a general theory of the structural determinants and limits for the trend of market prices in all types of markets. In spite of the similar name it has little or nothing to do with “normal cost” or full cost pricing which is a generalization of the descriptions given by some firms as to how they actually calculate their own prices based on a markup over their own costs (not those of the dominant technique). Second, even in the so called fix price markets, were firms set the prices of their products directly, the full or "normal cost" that particular firms use to calculate their own price is the actual cost of these particular firms and the markup these particular firms think they can add to prices without trouble. These calculations generate actual market prices or (if stylized enough to have some generality short run theoretical prices) that are not unique even for a single market as the full cost prices can be different for different firms. These prices differ from prices of production because they refer to the actual costs of some firms and not the costs of the dominant technique available. For that particular product that determines a single price of production for that market. The way prices of production may regulate the full cost prices of firms is by getting them in trouble whenever their actual costs plus their desired markups are too high relative to the costs (including normal profits) of the dominant technique, thereby attracting new entrants or cause some rival firms inside that market not to follow price rises that are due to increase in costs particular to that firm or “excessive” desired markups of these firms. Professors Fred Lee and Marc Lavoie are both absolutely right and some Sraffians wrong in saying that full cost pricing is NOT the same thing as the classical theory of prices of production. Where I think they are definitely wrong is in thinking that classical prices of production are thus irrelevant for market forms in which firms follow such rules. For, through the power of actual or potential competition, the classical prices of production are the centers of gravitation that regulate even the trend of the prices of firms that practice full cost pricing. The closest analogy between classical prices of production and the industrial organization literature is thus the concept that Sylos-Labini called “limit” prices. So market prices in both fix and flex price markets gravitate, towards or around classical prices of production. Any theory of full cost pricing can at best be a particular theory of short run price behavior of some firms in particular types of markets. There are old papers by James Clifton that started this confusion many years ago in Contributions to Political Economy and the Cambridge Journal of Economics. It is about time we stop confusing ourselves and our post Keynesian friends on this issue. Lavoie, M. (2003), “Kaleckian Effective Demand and Sraffian Normal Prices: Towards a reconciliation,” Review of Political Economy, 15(1) available here. Lee, F. and T-H. Jo (2011) “Social Surplus Approach and Heterodox Economics,” Journal of Economic Issues, 45(4) available here. Garegnani, P. (1988), “Actual and Normal Magnitudes: A Comment on Asimakopulos,” Political Economy, republished in Essays on Piero Sraffa: Critical Perspectives on the Revival of Classical Theory, Routledge, 1990. During the heterodox conference, to which I alluded to in my last post, somebody (cannot remember for sure now; too many talks) suggested that in the middle of the current crisis Argentina and Brazil were islands of growth. This has been a common proposition in the international press, but one that is not founded on fact. The performance of Brazil under the Workers' Party administration (from 2003 onwards), while better than the previous one, has been far from stellar. The figure shows that average growth during the Cardoso administration was around 2.3%, and increased to 3.9% in the Lula-Dilma period. By the way, last year Brazil decided to promote a fiscal adjustment to keep inflation in line, and also as an informal agreement between the Treasury (Dilma) and the Central Bank (Tombini) to reduce the rate of interest. If they expected the same effects as in the United States in the 1990s (when Clinton agreed to reduce spending in exchange for lower interest rates from Greenspan), then they forgot that in the US the private sector spending expansion associated to indebtedness and the dot-com bubble allowed for growth. In Brazil, in the absence of any other source of demand, growth collapsed to 2.7% last year! Another cautionary tale for those that think that fiscal adjustment is a panacea. Monetary cranks are an interesting bunch. Contrary to vulgar economists, which produced a defense of the status quo without scientific foundations, cranks tended always to provide a critique of dominant views. 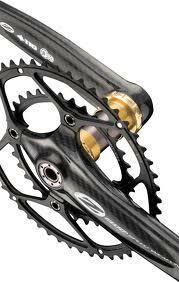 Often monetary cranks too lacked (and those around still lack) a solid foundation in theory. However, their critical perspective has always made cranks more interesting that the mere sycophants of the powerful that one associates with vulgar economics. "those who have Found the Light about Money take up their pens and write, with a conviction, a persistence and a devotion otherwise only found among the disciples of a new religion. It is easy to scoff at these productions: it is not so easy always to see exactly where they go wrong. It is natural that practical bankers, vaguely conscious that the projects of monetary cranks are dangerous to society, should cling in self-defence to the solid rock, or what they believe to be so, of tradition and accepted practice. But it is not open to the detached student of economics to take refuge from dangerous innovation in blind conservatism." I have a more sympathetic view than Robertson about the cranks, which tend to provide critiques of the mainstream without being able to build coherent alternatives. Cranks usually liked paper currencies during the Gold Standard (like Silvio Gesell), and were concerned with the practical problems of unemployment (like William Trufant Foster). More often than not they understood that money was both endogenous, and that it had real effects on the economy, something that still puzzles the mainstream. Keynes (in the GT) was wrong in putting Gesell, and Major Douglas (another monetary cranck) on the same group with Marx. From a history of economic ideas, while Marx is grounded on classical political economy, even if he is critical of several aspects of Smith and Ricardo, Gesell and Douglas were not grounded on either the surplus approach (of the classicals) or the marginalist approach, even if they both had elements of the latter. Robertson, D. (1928), "Theories of Banking Policy," Economica, No. 23, pp. 131-14. Professor Amsden, author of Asia's Next Giant: South Korea and Late Industrialization (1989), has passed away. 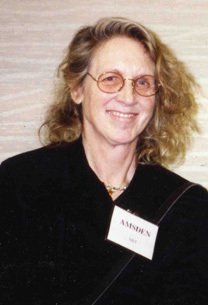 Her contributions to the understanding of the Asian late development experience were essential to debunk the neoliberal views, already dominant by the late 1980s, according to which the export-led experience in Asia was market driven, in contrast with the State-led Import Substitution Industrialization (ISI) in Latin America. She argued that South Korea actually distorted prices (with tariffs, quotas and credit subsidies), that is, got prices wrong, and growth did not result from efficient allocation of resources by market forces. Further, the state intervened directly in production, as a banker and did active industrial policy picking up winners and promoting the consolidation of big national groups, the chaebols. Following Gerschenkron, who had argued about the advantages of backwardness, she suggested that some of the characteristics of South Korean growth resulted from its late development. For her the two main characteristics that explained South Korean success were the greater discipline exerted by the state on the national conglomerates, forcing them to export, and the Schumpeterian drive for innovation that that processed sparked. She published several other important works, including The Rise of the Rest. Her views on economic development will certainly remain influential for a long while. I know, it's been renamed Real World Economics Review, but I like the old name better. New issue is here. A version of "The euro imbalances and financial deregulation" is in there. "The U.S. economy today is confronted with the prospect of extended stagnation. This book explores why. 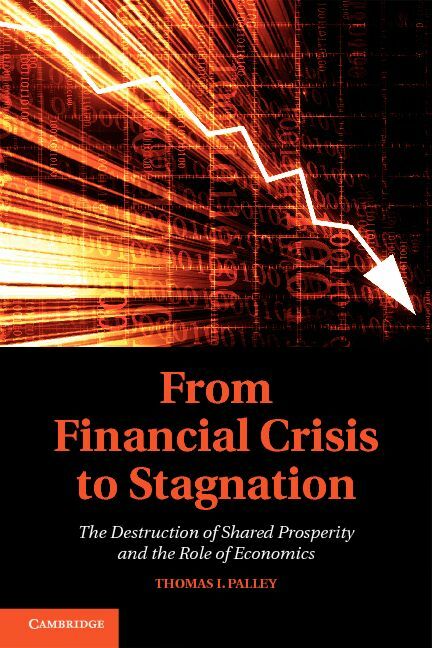 Thomas I. Palley argues that the Great Recession and the destruction of shared prosperity is due to flawed economic policy over the past thirty years. One flaw was the growth model adopted after 1980 that relied on debt and asset price inflation to fuel growth instead of wages. The second flaw was the model of globalization that created an economic gash. Financial deregulation and the house price bubble kept the economy going by making ever more credit available. As the economy cannibalized itself by undercutting income distribution and accumulating debt, it needed larger speculative bubbles to grow. That process ended when the housing bubble burst. The earlier post–World War II economic model based on rising middle-class incomes has been dismantled, while the new neoliberal model has imploded. Absent a change of policy paradigm, the logical next step is stagnation. The political challenge we face now is how to achieve paradigm change." "In the depths of the Great Depression, John Maynard Keynes wrote that 'nothing is required, and nothing will avail, except a little clear thinking.' Thomas Palley here renews that message for our time." Is Import Substitution Industrialization (ISI) still possible? For a very long time Import Substitution Industrialization (ISI) was seen as a four-letter word. The notion was that ISI had led to extensive inefficiencies and that the debt crisis of the 1980s was its last breath. The old ideas about comparative advantage were back with a vengeance, and the prescription was for trade liberalization, encapsulated in the Washington Consensus. Export orientation was promoted, since it was widely believed that an emphasis on exports would force integration into world markets, more efficient allocation of resources, and that external markets would impose discipline by eliminating uncompetitive firms. The problem with the conventional wisdom is that the ISI period corresponds to a high growth phase for most developing countries, one in which they caught up with the developed world despite the fast growth in the latter, which would not have been possible if ISI-driven growth did produce tremendous inefficiencies on an economy wide scale. "Economics is meant to be useful. Not only is it supposed to give a greater understanding of how a market economy works, but also it should be a guide to economic policy. ... classical value theory and Keynesian theory share a common structure that both are dependent upon empirical data from outside the theoretical core. Classical theory is dependent upon market structure, the composition of output and the distribution of income (or, to be more accurate, one of the distributive variables, the wage or the rate of profit). These data can be derived from the historical position of the economy, the stage of evolution in the history of technical progress, the structure of international trade, the structure of corporate enterprise, the financial and monetary system, the policies of the state, and so on, all of which are arrayed outside the core, but are vital to its specification. Similarly Keynesian theory is inconceivable without a clear specification of the structure of finance. The principle of effective demand is dependent upon the existence of a relatively sophisticated financial sector, and developments in the financial sector will in turn have an impact upon the determination of investment and the process of accumulation. It is one of the obvious failures of neoclassical theory that financial variables play no role in the determination of prices and outputs. It is an abiding strength of classical and Keynesian analysis that not only can financial variables be readily accommodated, some of the analysis will not work without them." Is China really opening the capital account? "The first, to occur over the next three years, would clear the path for more Chinese investment abroad as ‘the shrinkage of western banks and companies has vacated space for Chinese investments’ and so presented a ‘strategic opportunity’. The second phase, in between three and five years, would accelerate foreign lending of the renminbi. In the longer term, over five to 10 years, foreigners could invest in Chinese stocks, bonds and property. Free convertibility of the renminbi would be the ‘last step’, to be taken at an unspecified time." Wait what? What this says is that they are going to lend more in yuan, given the retreat of American and European banks, and will eventually allow some amount of foreign ownership of assets denominated in yuan. This, by the way, is just trying to expand the international role of the yuan, something aptly called the yuan diplomacy by Kevin Gallagher, who notes that already: "China became the largest source of finance for Latin American governments." Yet, only the last step, the one to be taken at an unspecified time, would constitute opening the capital account. So basically they announced that they want to increase the international use of the yuan, getting more developing countries to borrow in their currency, while maintaining a strict control of the supply of their currency. In fact, The Economist tells us that Sheng Songcheng, head of the central bank’s research department and the lead author of the study cited by Wolf said that: "If you wait for the exchange rate and interest rates to be fully liberalized ... you may wait forever." I guess then never is when the capital account will be fully open. That's slow enough, and is a capital account liberalization I would recommend too. It is widely recognized that economic crises can sometimes trigger enormous change, both with regard to economic theory and the politics of governance. Today, the global economy is struggling with the fall-out from the financial crash of 2008 and the Great Recession of 2007-09. The economic crisis that these events have generated, combined with the failure of the mainstream economics profession, has again put the question of change on the table. With regard to the economics profession, it stands significantly discredited owing to its failure to foresee the recession and the financial crash; its repeated over-optimistic forecasts of rapid recovery; and lack of plausibility surrounding its attempts to explain events. Reasonable people do not expect economists to predict the daily movements of the stock market, but they do expect them to anticipate and explain major imminent economic developments. On that score the profession failed catastrophically, revealing fundamental theoretical inadequacies. This intellectual failure has prompted us to launch the Review of Keynesian Economics. At a time of journal proliferation some may wonder about the need for another journal. We would respond there is a proliferation of journals but that proliferation is essentially within one intellectual paradigm. As such, it obscures the fact that the range of theoretical inquiry is actually very narrow. A journal devoted to Keynesian economics is therefore needed both to correct this narrowness and because events have once again confirmed the profound relevance of Keynesian theory. Reflection upon the intellectual history of macroeconomics over the past seventy-five years can help to understand the current predicament and need for this new journal. That history traces an arc, which first saw the eclipse of classical macroeconomics by Keynesian macroeconomics, and then saw the eclipse of Keynesian macroeconomics by a revived and re-tooled classical macroeconomics. The crisis associated with the Great Depression of the 1930s inspired John Maynard Keynes to write The General Theory of Employment, Interest and Money, a book that explained the persistence of unemployment in monetary economies. Keynes’ theory had enormous influence both inside and outside the academy, and his ideas on the importance of effective demand triggered a remaking of macroeconomics that saw Keynesian theory displace classical macroeconomic theory. That displacement was driven by the failure of classical theory to account for the Depression and the corresponding explanatory success of Keynesian theory. Moreover, not only did Keynesian theory provide an explanatory framework, it also offered practical policy recommendations. After World War II, the Keynesian theoretical revolution inspired new policy thinking that contributed to a twenty-five year period of unprecedented prosperity, now widely referred to as “The Golden Age” of capitalism or “The Age of Keynes”. From 1945 to the early 1970s, the global economy witnessed an unparalleled period of prosperity that came to an end with the collapse of Bretton Woods (1971), the first oil crisis (1973) and the stock market crash of 1973-74. During this period of almost three decades, the world enjoyed rapid growth, low unemployment and reduced inequality, making Keynesian policies a success by most measures. However, adherents of classical macroeconomic theory never accepted the legitimacy of Keynesian economics and they forged a counter-revolution, centered upon the University of Chicago and the work of Milton Friedman. In the 1960s and early 1970s the counter- revolution took the form of monetarism, and thereafter it evolved into new classical macroeconomics. The intellectual link between monetarism and new classical macroeconomics was animosity to Keynesianism and a dogmatic predisposition to laissez-faire conclusions. The counter-revolutionaries were successful in their project and recaptured control of macroeconomics in the late 1970s. Their success was driven by a range of factors including their own intellectual imagination and innovation, intellectual staleness among Keynesians; the Cold War, which promoted laissez-faire ideology; and inflation and political conflict triggered by income distribution conflicts fostered first by full employment and then by the oil shocks of the 1970s. Most importantly, the counter-revolutionaries opportunistically exploited the intellectual confusions created by the oil supply shocks of the early 1970s. Those shocks unleashed a new supply-side phenomenon of stagflation, which the counter-revolutionaries asserted disproved Keynesian macroeconomics. In retrospect, we know those assertions were false and Keynesian theories of conflict inflation gave a good account of developments, but the dispiritedness of the late 1970s initiated an era of reaction, which included reaction in economics. It is important to emphasize that the demise of Keynesian economics was not caused by profound logical flaws or lack of supportive empirical evidence. Keynesianism (and other paradigms too) was accused of lacking micro-foundations, when in reality it has always had micro-foundations but rejects micro-foundations predicated on the implausible assumptions of homo economicus and Walrasian characterization of market processes. That Walrasian characterization fundamentally misrepresents economic reality, assuming the existence of institutions that do not exist (i.e. the auctioneer) and ignoring institutions that do exist (i.e. money and money contracting). In doing so, it ignores the macro-foundations that for Keynesians are the twin of micro-foundations. The inflationary pressures of the 1970s, with the concomitant rise of conservatism in the form of the Reagan-Thatcher movements, were instrumental in the revival of classical macroeconomics and the repression of Keynesian economics. These forces have now waned but they have locked-in a legacy that is hard to reverse. That is because notions such as the natural rate of unemployment are entrenched in macroeconomics discussions and, most importantly, in teaching manuals. The consequences of the return of classical macroeconomics have been enormous. For society it has entailed an era of neoliberal policy dominance that has contributed to wage stagnation and massive income inequality, which is significantly responsible for the Great Recession and the prospect of stagnation. Economic theory and politics often march hand-in-hand, with theory reinforcing politics and politics reinforcing theory. Together, they both drive policy, making economic theory vitally important for society. In the end, economic theory is a contested terrain that is fought over by different intellectual tendencies, which may reflect different political and ethical values. In the years after World War II Keynesianism was ascendant, but since the late 1970s classical macroeconomics has been ascendant. Such ebbs and flows are reasonable, and even desirable, in an open society. However, what troubles us is that the period of classical re-ascendance has been characterized by what we think is a closing and monopolization of intellectual space, whereas the period of Keynesian ascendancy was marked by intellectual pluralism. This closing of economics is significantly attributable to the laissez-faire ideological predispositions of new classical macroeconomics. It has also has been driven by economists’ disdain for epistemological concerns, which has fostered intellectual intolerance and over-reach. Competing theoretical paradigms have been framed inappropriately in terms of truth versus error, a frame that inevitably drives exclusion of the paradigm labeled as being in error. This framing is supported by an erroneous belief that science produces a single true answer. Much vaunted mathematical rigor is built on conceptual narrowness and sloppiness, and the use of math is as much a rhetorical device for selective screening of ideas as it is for exploring the logical coherence of ideas. These flawed practices have distorted the academy, and in doing so have had profoundly negative consequences for society. That concerns us in our dual identities as professional economists and citizens, and it is this concern that motivates the founding of the journal. As the name signals, the journal is intended to promote research in a particular paradigm -- the Keynesian paradigm. We make no apologies for this. Journals on international economics promote research in international economics: journals on finance promote research in financial economics. We have no objection to journals promoting particular types of economic research or thinking. What we object to is general-purpose and field journals only permitting research in a particular paradigm. We have intentionally titled the journal Keynesian without any qualifying adjective or prefix. Our aim is to encourage research and discourse in Keynesian economics – be it old Keynesianism, fundamental Keynesianism, neo-Keynesianism, Post Keynesianism, Sraffian Keynesianism, Kaleckian Keynesianism, or Marxist Keynesianism. 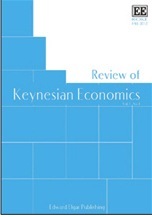 The journal is open to all forms of Keynesianism, which we define as (1) holding that output and employment are normally constrained by aggregate demand, (2) holding that the problematic of aggregate demand shortage exists independently of price, nominal wage, and nominal interest rate rigidities, and (3) rejecting the claim that the real wage is equal to the marginal disutility of labor. This openness to all forms of Keynesianism reflects a desire to avoid intellectual sectarianism, which we think has afflicted past Keynesian discourse. In our view circumstance and ability certainly contributed to the success of the classical macroeconomics counter-revolutionaries, but so too did intellectual and sociological failure among Keynesians. Their tendency to apply arbitrary litmus tests and engage in intellectual sectarianism did a disservice to their project, and in doing so did disservice to society. We want to avoid repeating that history. The contract with the journal publisher, Edward Elgar, was signed in 2011. We, the founding editors, are very happy with this timing as 2011 marked the seventy-fifth anniversary of Keynes’ General Theory. The founding of the Review of Keynesian Economics is a fitting tribute and celebration of this anniversary. It is also part of the deeper response needed to meet these challenging economic times. The journal will be dedicated to the development of Keynesian theory and policy. In our view, Keynesian theory should hold a similar place in economics to that held by the theory of evolution in biology. Many individual economists still work within the Keynesian paradigm, but intellectual success demands institutional support that can leverage those individual efforts. The journal aims to offer such support by providing a forum for developing and sharing Keynesian ideas. Not only does that include ideas about macroeconomic theory and policy, it also extends to microeconomic and meso-economic analysis and relevant empirical and historical research. We see a bright future for the Keynesian approach to macroeconomics and invite the economics profession to join us by subscribing to the journal and submitting manuscripts. Teaching on the capital debates this and last week. So here are some thoughts, based on my class notes and the required readings (see below). The capital debates remain a puzzling chapter in the history of economic ideas. Nearly everyone accepts that the British (as opposed to the Massachusetts) Cambridge won the debate, something Paul Samuelson acknowledged early on. Yet, no one seems to grasp the full implications and relevance of the debate itself. Typically it is assumed that the capital debates relate simply to problems of aggregation, and that the use of aggregate production functions and aggregative measures of capital are still justifiable, for simplicity’s sake. However, contrary to this viewpoint the capital debates did not rest upon the possibility of building aggregate measures. The capital debates are associated with the very notion of capital. Classical political economy authors, from William Petty to Karl Marx, including Quesnay, Smith and Ricardo, treated the process of production as a circular one. In this context, capital is a produced means of production, rather than a factor of production used in the process of obtaining final goods. The most important result of the capital debates is that, once capital is defined as produced means of production, there is no direct relation between the relative abundance or scarcity of the means of production and its remuneration. Distribution, in other words, is not governed by supply and demand. Since the Marginalist Revolution, and the rise of the so-called neoclassical school, the notion that relative prices are determined by supply and demand, and that these reflect the relative abundance or scarcity of all goods and services – including factors of production – became consensual. As a result, the supply and demand for capital became the determination for the remuneration of capital. The more abundant is capital, the lower its remuneration, and vice versa if it is scarce. Conflict has no role to play in the determination of distribution, and social classes vanished entirely from analysis. Additionally, substitution leads to the full utilization of resources and their optimal allocation. If capital is scarce and expensive, and labor abundant and cheap, economic agents substitute labor for capital and fully utilize labor. Thus, despite the abundance of labor, its relative cheapness, through the principle of substitution, leads to full employment. Indeed, unhampered markets do lead to the veritable best of all possible worlds. It is the logic of the principle of substitution, based on relative scarcities that the capital debates shattered. Contrary to the neoclassical parable, the capital debates showed that it is not generally possible to obtain a univocal relation between remuneration and relative scarcity. For example, assume that we have two commodities produced with capital and labor, and that one can be said to be univocally more capital abundant than the other. In this case, as capital becomes more abundant the profit-to-real-wage ratio will fall, more capital will be used, and more of the capital-intensive good will be produced. However, it is possible that one good would be more capital intensive at high levels of the profit-to-real-wage ratio, and that the other becomes the capital intensive good at lower levels of the same ratio. That is, we would have factor intensity reversal. In the instance of factor intensity reversals, the conventional relation between factor scarcity and relative prices breaks down. In this situation, it would be possible that as the profit-to-real-wage ratio falls, more labor will be used, and more of the labor-intensive good will be produced. In other words, there would be reverse capital deepening and a lower rate of profit associated with a reduction in the use of capital. Substitution moves in the wrong direction, so to speak, and more of the scarce factor is demanded. A simple algebraic exercise may help understand the point. If the expression in the small parenthesis in the denominator is equalized to zero we obtain a wage-profit frontier that is linear. This assumption is what Samuelson (1962, p. 225, n. 7) refers to as the equi-proportional assumption. Figure 1 shows the choice of technique under this assumption. The firm chooses the highest rate of profit for a given real wage, which implies that as the rate of profit falls the firm must choose the more capital intensive (b in this case). In this case, the neoclassical parable works; there is an inverse relation between factor intensity and its remuneration. Once, the assumption of equi-proportional capital to labor ratios in the machine and consumption sectors (which would mean in Marxist terminology the same organic composition of capital in both sectors) is dropped the wage-profit frontier is not linear anymore. If we assume that the capital goods sector is more capital intensive than the consumption sector then the wage-profit frontier will be concave (as shown in Figure 2). In this case, we have two switches; at high levels of the rate of profit the firm choose technique a, which is more labor-intensive, and as the rate of profits falls it switches to b the capital-intensive one as prescribed by neoclassical economics. However, at even lower levels of the rate of profit, the firm switches back to the more labor intensive technique. Reswitching and reverse capital deepening, hence, result from the dismissal of the equi-proportionality assumption, which is what one would expect in a world with several goods. The implications for neoclassical theory cannot be overstated. First and foremost, there is no relation between relative scarcity and the remuneration of factors of production, and, as a result, distribution is not simply the product of market forces. Further, there is no guarantee that all resources will be fully utilized. It must be noted that, even though the capital debates are fundamentally about the logical coherence of the neoclassical approach, the results of the capital debates have important empirical implications. Neoclassical theory makes strong predictions vis-à-vis substitution effects and the relation between relative scarcity and remuneration. Yet the capital debates suggest that some of those predictions might not be consistent, and, as a result, the absence of those relations might be expected in the real world. The most obvious prediction is the inverse relation between investment (capital intensity) and the rate of interest (its remuneration). As it is well known, there is little evidence that investment is sensitive to variations in the real rate of interest. In a rare survey of the empirical literature on the determinants of investment Robert Chirinko (1993, p. 1906) argues, “[T]he response of investment to price variables tends to be small and unimportant relative to quantity variables.” In other words, interest rates have little effect on gross capital formation, and the substitution effects that imply that agents use the cheaper factor of production are not operative. Further, the empirical evidence suggests that investment reacts to quantity variables, meaning the level of activity. This suggests that the income effects tend to be larger tahn substitution effects and that a firm facing less demand will not buy capital goods, even if the interest rate is low. These results underscore the empirical relevance of the capital debates. Similarly, the capital debates highlighted the futility of using the aggregate production function to measure the growth and productivity performance of real economies. The theoretical problems with the aggregate production function, associated to the notion of capital as a scarce resource, are compounded by the impossibility of disentangling it from the identity of income with the structure of the functional distribution of income (Felipe and Fisher, 2003). In other words, if one runs a regression of income on capital and labor, as is often done by those using a production function, it necessarily follows that income grows because capital and labor grow. Furthermore, changes in income distribution also affect income growth, as total income (net of taxes) is by definition the wage multiplied by labor utilized in production plus capital multiplied by its remuneration. In this way, the capital debates demolished the theoretical foundations of neoclassical economics, and provided significant empirical evidence that those neoclassical models and their resultant policy prescriptions should be viewed with a healthy measure of skepticism. 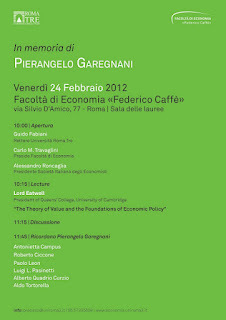 Faced with the impossibility of using both the notion of aggregate capital and the principle of substitution, neoclassical economics opted to apply the principle of substitution to each kind of capital good taken as a distinct factor of production, by using the Arrow-Debreu model of intertemporal general equilibrium (Garegnani, 1976; Milgate, 1979). Even though the idea of intertemporal equilibrium, in which capital is treated as a vector of heterogeneous capital goods, was first developed by Eric Lindahl and then popularized by John R. Hicks in the 1930s, and used by Arrow and Debreu in the 1950s, it was only after the capital debates that it came to be dominant within the mainstream. The problem with the use of heterogeneous capital goods is that it implies a change in the traditional method of economics. Normal equilibrium positions are associated to a uniform rate of profit; however, when dealing with heterogeneous capital goods that are not substitutable between each other, it becomes necessary to discard the notion of long run equilibrium. In Arrow-Debreu models all prices are short run prices, associated to differential rentals for each capital good, and any change in the data of the system – preferences, technology, and information for given initial endowments – affects the direction to which the economy adjusts (Petri, 2003). In other words, the forces of competition that lead capitalists to those sectors with higher remuneration and establish a uniform rate of profit do not operate in the Walrasian world. Hence, the Walrasian models are incapable of ascertaining tendencies in real economies, a defect that is not mitigated with the introduction of imperfections (Stiglitz, 1993, p. 109), which Stiglitz calls the post-Walrasian and post-Marxist paradigm. Far from increasing the realism of the model, the casting about of such lifelines only complicates the results of an exceptionally unrealistic one. Information imperfections, and other related imperfections like price rigidities or lack of rationality, once introduced leave the Arrow-Debreu model unable to produce Pareto efficient solutions, or even market equilibrium, since some markets may not exist. Additionally, the introduction of imperfections renders the aggregative model prone to suboptimal outcomes. Suboptimal results in the presence of imperfections suggest that in their absence markets would still produce optimal outcomes. Some authors tend to confuse the imperfectionist arguments, and the implicit support that they provide for policy intervention, as a break with orthodoxy. While it is clear that they provide space for flexibility in policy advice, they remain firmly based on orthodox grounds. The capital debates, in contrast, showed that unhindered markets, free of imperfections of any type, do not lead to market efficiency in general. Faced with the logical problems that neoclassical aggregative models are riddled with on the one hand, and the irrelevance of general equilibrium models on the other, neoclassical economists did what any rational agent would do: disregard the critiques and in so doing, their deleterious results, and proceed as if nothing had happened. However, an innovative, if not peculiar, development generated a curious division of labor within neoclassical economics. Aggregative models were deployed for the purposes of teaching and policymaking, while the Arrow-Debreu model became the retreat of neoclassical authors when questioned about the logical consistency of their models. In this response, a harsh tradeoff between logical consistency and relevance was cultivated in the very core of mainstream economics. 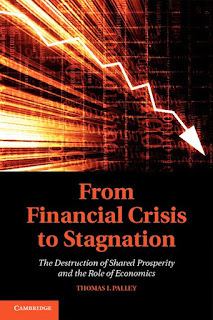 The degree of fragmentation – as Roncaglia (2005, p. 468) so aptly expresses it – and confusion in the mainstream today is the result of such inconsistency at the core of economics, and not uniquely, as is frequently asserted, because of the demise of the Keynesian consensus. The collapse of the certainties provided by the old aggregative neoclassical model has brought about an often cynical defense of market-oriented policies for their own sake. The return of Vulgar Economics, which “sticks to appearances … [and] believes that ‘ignorance is a sufficient reason’” (Marx, 1867, p. 307) is complete. See Samuelson (1966). A typical position is that of Robert Lucas (1988, p. 36) who notes the victory of the British argument, and yet remains oblivious to the problems of using the aggregate production function in the same paper. Both results are important, for example, for the Keynesian possibility of unemployment equilibrium. Keynes’ (1936, p. 243) emphasis on the unimportance of the natural rate of interest not only implies that the supply and demand for capital (loanable funds) do not determine the equilibrium rate of interest, but also that the conventional rate of interest may be set at such a level that brings about persistent unemployment. In the same way, the empirical evidence seems to contradict the notion that higher wages would lead to substitution of cheaper factors of production for labor. The exemplary case is the well-know study of the fast food industry in New Jersey, which found a positive correlation between the minimum wage and employment (Card and Krueger, 1995). That GE models do not support the notion that the abundance of a factor of production will be associated with lower remuneration has been pointed out by a survey of those models (Bliss, 1975). The same is valid for Bowles and Gintis’ (1993, p. 84) notion that market exchanges are usually contested and endogenous enforcement costs are not zero, and, as a result, there are conﬂicts of interest among exchanging parties. Therefore, if enforcement costs were nonexistent the Arrow-Debreu results would prevail. It must be noted that all the literature on post-Walrasian economics presumes continuity between the classical political economy authors and the post-marginalist revolution economics, which would mean that there are no significant distinctions between Smith, Marx, Walras and Arrow. Colander et al. (2004), for example, seems to suggest that several of the post-Walrasian developments can be seen as breaking up with orthodoxy. For a critique see Vernengo (2010). Bliss, Christopher (1975), Capital Theory and the Distribution of Income, Amsterdam and New York: Elsevier North-Holland. Bowles, Samuel and Herbert Gintis (1993), ‘The revenge of homo economicus: Contested exchange and the revival of political economy’ The Journal of Economic Perspectives, 7(1), 83-102. Card, David and Krueger, Alan (1995), Myth and Measurement: The New Economics of the Minimum Wage, Princeton: Princeton University Press. Chirinko, Robert (1993), ‘Business fixed investment spending: Modeling strategies, empirical results, and policy implications’, Journal of Economic Literature, 31(4), 1875-1911. Colander, David, Rick Holt, and J. Barkley Rosser Jr. (2004), “The changing face of mainstream economics,” Review of Political Economy, 16, pp. 485-99. Felipe, Jesus and Franklin Fisher (2003), ‘Aggregation in production functions: what applied economists should know’, Metroeconomica, 54(2-3), 208-262. Garegnani, Pierangelo (1976), ‘On a change in the notion of equilibrium in recent work on value: a comment on Samuelson’, in M. Brown, K. Sato and P. Zarembka (eds), Essays in Modern Capital Theory, Amsterdam: North-Holland. Heim, John J. (2009), ‘Which Interest Rate Seems Most Related to Business Investment?’, American Society of Business and Behavioral Sciences E-Journal, 5(1), February. Keynes, John M. (1936), The General Theory of Employment, Interest and Money, New York: Harcourt Brace. Lucas, Robert (1988), 'On the Mechanics of Economic Development,' Journal of Monetary Economics 22 (1), pp. 3–42. Marx, Karl (1867), Capital, NY: International Publishers.Capital, NY: International Publishers. Milgate, Murray (1979), 'On the origin of the notion of ‘intertemporal equilibrium’,' Economica, 46(181), 1-10.Economica, 46(181), 1-10. Petri, Fabio (2003), ‘A ‘Sraffian’ critique of general equilibrium theory, and the classical Keynesian alternative’, in F. Petri and F. Hahn (eds), General Equilbrium: Problems and Prospects, London and New York: Routledge, pp. 387-421. Samuelson, Paul (1962), “Parable and Realism in Capital Theory: The Surrogate Production Function,” Review of Economic Studies, 29(3), pp. 193-206. Samuelson, Paul (1966), ‘A summing up,’ Quarterly Journal of Economics, 80(4), 568-583.Quarterly Journal of Economics, 80(4), 568-583. Vernengo, M. (2010), 'Conversation or Monologue? On Advising Heterodox Economists,' Journal of Post Keynesian Economics, 32(3), pp. 389-96.